The extension enables the store owner to configure either all or some of the fields as per their preference. The Custom Magento format can be changed for ‘All Store Views’ or just a particular store view. You can also create unique IDs that can even include seconds, minutes and hours of the purchase and orders. 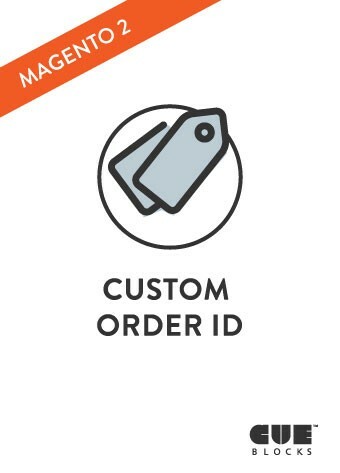 The Custom Order ID extension is available at the Magento marketplace and at our very own Cue Store. Purchase this extension to empower your store with an admin tool that not just enhances core functionality but lets you manage your work in a way that is distinctly yours! Know more about the extension here and get in touch with us at support@cueblocks.com for any query or information regarding the extension. With experience and expertise in the copywriting field that spans years, I am particularly conscious about organization, marketing value, and a good feel when I write. I love poetry, photography, good books, and coffee too!